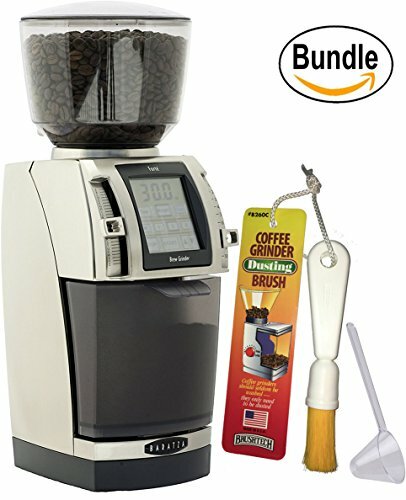 1 x Brushtech Coffee Grinder Dusting Brush (B00L4SGOHU) - Efficiently cleans out leftover, stale grounds and coffee powder. To ensure coffee flavor at its freshest, clean with our marvelous dusting brush. It will efficiently clean out leftover, stale grounds and coffee powder. Also excellent for old fashioned hand grinders. 1 x Zonoz One-Tablespoon Plastic Clever Scoop - 1 tablespoon plastic scoop has a 3-inch long, flat handle for easy use, and allows you to precisely measure out exactly enough freshly ground coffee to make the perfect cup. Get the best results out of your coffee fixes with the Zonoz clever 1 tablespoon scoop. Making measuring coffee easy.